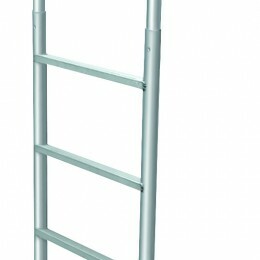 The Stationary Dock Swimming Ladder is perfect for stationary docks, swim platforms and seawalls. 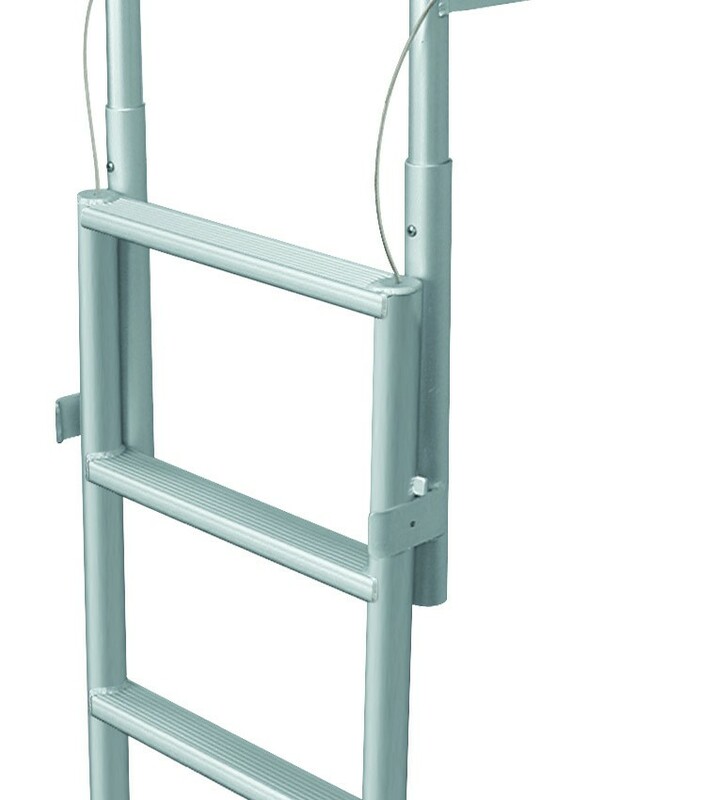 The ladder is mounts on a dock or seawall for quick and easy use. 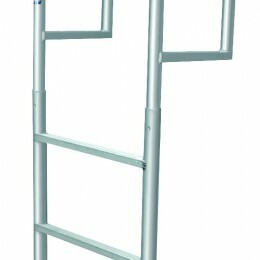 Stationary ladders are made from marine grade 6065T-5 marine grade, anodized aluminum for an appealing finish and support up to 750 lbs. per step. Each 2″ step is grooved to ensure secure footing and prevent slippage when exiting the water. All step treads are welded to the frame for added safety. Rounded handrails are 20″ high and extend 12″ onto the dock. 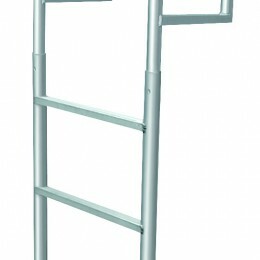 Stationary Dock Ladders ship in two pieces and include assembly hardware. 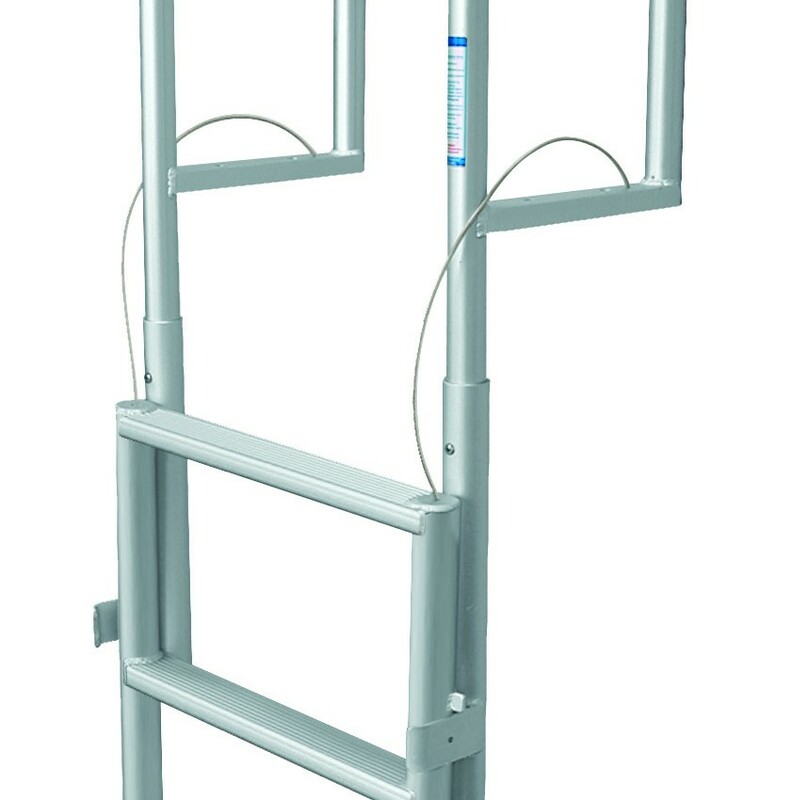 Mounting hardware is not included but is easily purchased at any hardware store depending on your mounting surface.